Here’s another tutorial taken from my eBook iPad Academy: Tips, Tricks and Clever Techniques (TTCT). 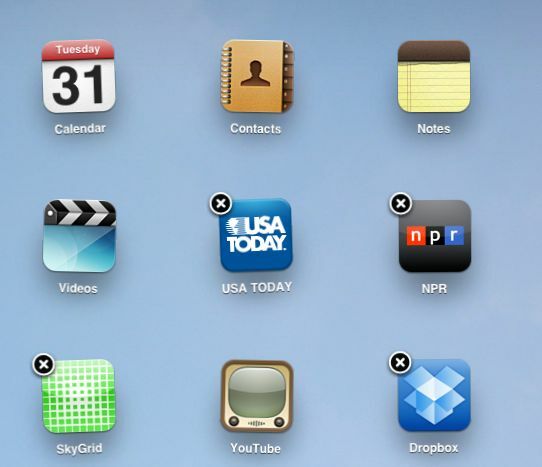 You’ll learn you how to arrange apps on your iPad screen, add more apps to the dock and why some apps can’t be deleted. With iPhones and iPod Touches you are limited to four icons in the dock. Thanks to the iPad’s bigger screen, you can add two additional icons to bring the total to six in the dock. To add those two additional dock icons, touch and hold any app icon on your iPad screen until the icons start to jiggle. The jiggling indicates you can now rearrange them. 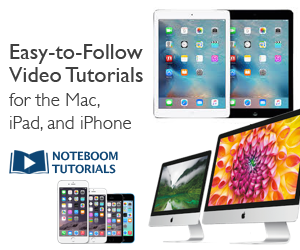 Touch any app and drag it to another location on the same screen. Drag any icon from the Home screen onto the dock or remove existing app icons from the dock by dragging them off the dock. Once you have the icons arranged the way you like them, press the Home button on your iPad to set the new arrangement. Wondering about those little X’s on most of the apps and why some apps don’t have them? As you probably know, tapping the X allows you to delete the app. The icons without the X’s are the ones that come preinstalled on your iPad and can’t be deleted. These preinstalled apps don’t appear in the apps list pane in iTunes either. More on this coming up. This post is great and very helpful to me. Thanks.